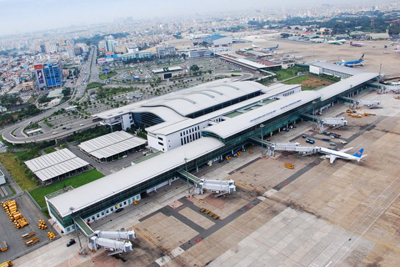 Vietnam’s Deputy Prime Minister, Trinh Dinh Dung, has made a decision on which proposed plan to adopt for the upgrade of Tan Son Nhat Airport in Ho Chi Minh City. Local media reported that the government has opted for a plan that includes major improvements to runway and taxiways. It will include the construction of parallel taxiways and connecting taxiways between the current runways and aircraft parking areas. Rapid-exit taxiways and parallel taxiways between two runways, as well as the renovation of the current north runway will also be completed according to the approved master plan. A dual-use terminal (T3) with a capacity for up to 10 million passengers per year, and a passenger terminal (T4) also with capacity of 10 million passengers per year will be constructed. The project will take three years to complete and cost USD873 million and increase the airport’s capacity to 43 to 45 million passengers per year, the report said. Deputy PM Dung assigned the Ministry of Transport to direct the consultancy firm to wrap up details and report to the Prime Minister by 25 February. “Access roads to the airport should be constructed by HCM City’s People’s Committee for its own funding,” he added. 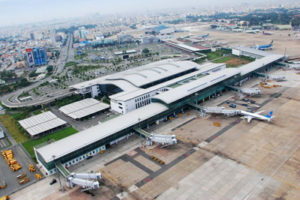 Tan Son Nhat airport serves 28 million passengers per year even though its capacity was planned to be only 25 million per year until 2020.